1985 Island Packet IP27 This beautiful IP27 is lovingly cared for. Previous owners have put in over $20,000 of upgrades including beautiful NFM Stainless ports. This highly successful Island Packet (IP) design is a sturdy coastal cruiser that can take you where you want to go in comfort and safety. 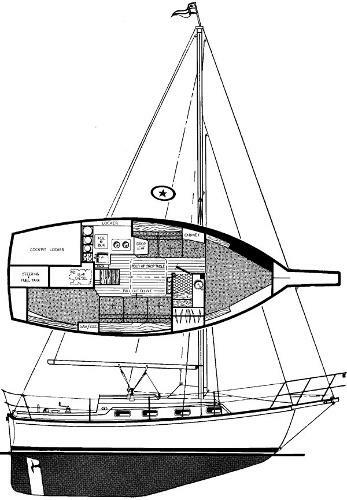 her modern full keel and cutter rig provide for a safe and comfortable ride. Just stepping aboard Duchess you realize it just feels right. The Island Packet 27 is a very stable, comfortable boat that provides a feeling of security with full length handrails, double lifelines, raised bulwarks, contoured seats with great backrests. There is a wide bowsprit to keep the anchoring gear at the ready. 1987 Island Packet 27 The Island Packet 27 is clearly one of the largest 27' boats available. 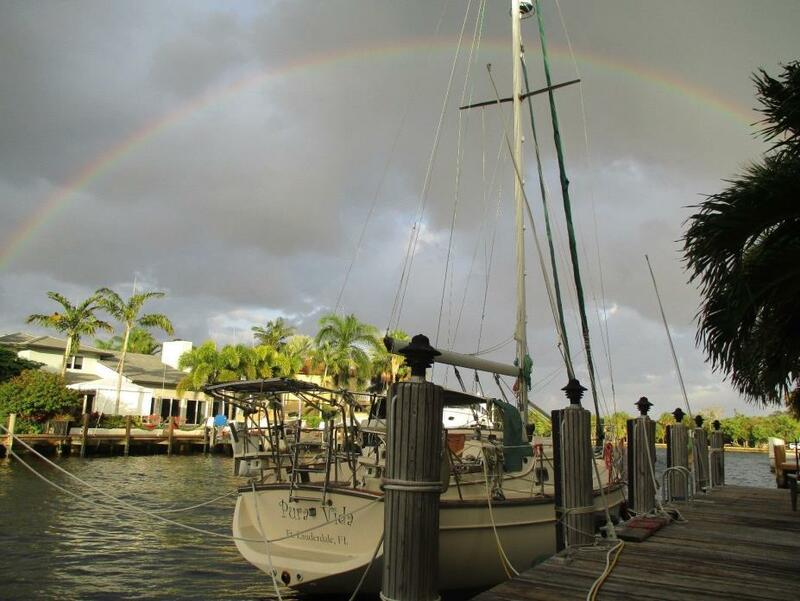 This is a great boat for those weekend getaways This is one of Island Packets most successful boats. IP27's boast more space than other longer boats. It was so popular in fact, that the line ran for 8 years and over 240 of them were built. It is still one of the hottest sellers on the market and the most popular Island Packet of all. They are capable of sleeping 6 people, with ample storage. Her shallow draft makes her the perfect for our rivers and sounds. Her sturdy construction makes her comfortable and safe for passage making. 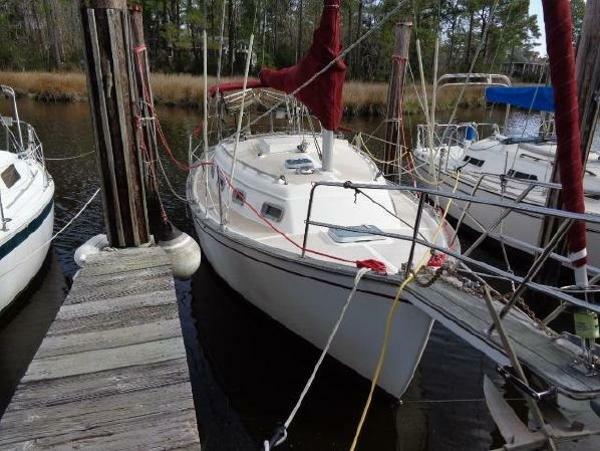 This particular vessel is a great value, and is ready to go. 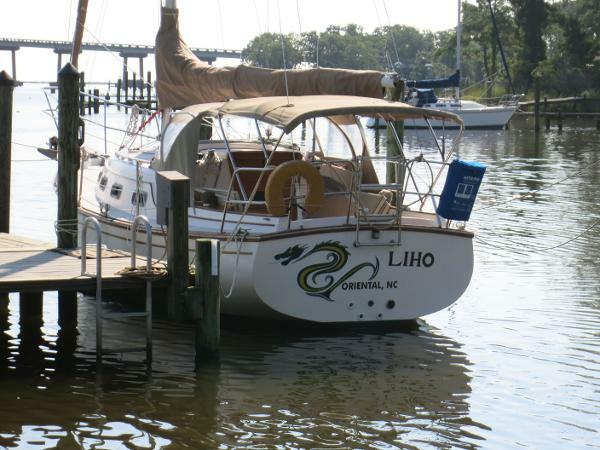 1985 Island Packet 27 "Liho" is great for Weekend Fun, Coastal Cruising, or Beginning Sailors This is one of Island Packets most successful boats. IP27's boast more space than other longer boats. It was so popular in fact, that the line ran for 8 years and over 240 of them were built. It is still one of the hottest sellers on the market and the most popular Island Packet of all. They are capable of sleeping 6 people, with ample storage. Her shallow draft makes her the perfect for our rivers and sounds. Her sturdy construction makes her comfortable and safe for passage making. This particular vessel has been expertly maintained and is probably the cleanest on the market today. Check out her particulars, you will be impressed. Liho even has reverse cycle A/C. She is totally turn-key and ready to go.